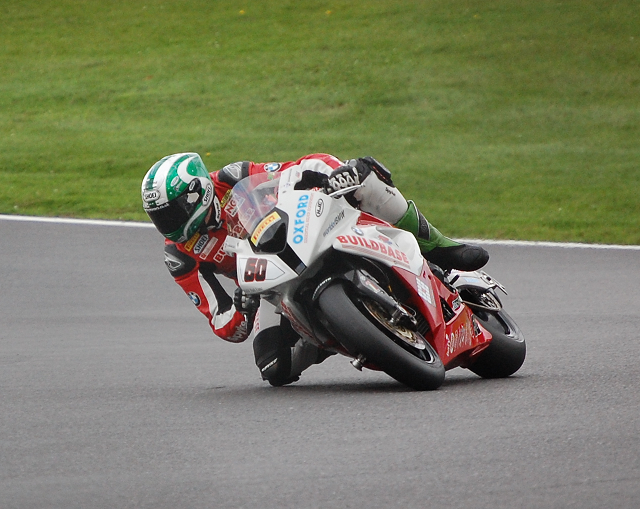 One of our reporters was lucky enough to get a chance to have a quick chat with GBMoto’s Peter Hickman and ask him all sorts of questions about racing. You’ve signed to ride the Honda for GBmoto in 2013, the last season you rode a Honda you put it on the British Superbike podium. Were you looking to ride a Honda in 2013? Yes and no really obviously I had a real good time in 2011 on a Honda. My first proper go on a honda, yeah it was good y’know. My remits for this next year was that I wanted to be on a good bike, whether that be a BMW or a Honda or whatever, I needed to be in the right team and on the right bike. I wasn’t looking specifically for a Honda but I also know that the Honda is very good. 2012 was up and down for you, what are your main aims for 2013? Consistency? Results? Yeah, I want to be consistent but like everyone else lining up on the grid I want to be in the top 6. The team obviously didn’t have the best of seasons this year but they were brand new to it, there’s a lot to superbike racing. They definitely threw themselves in at the deep end, they’ve learnt a lot and gone in the right direction and they want to be consistently top ten and getting into the top 6. If we can do that in every race, you’ll end up in the top 6 anyway. Definitely what I want to be aiming for, including sneaking a few podiums along the way. Click “Read More” to read about Peter’s one-off ride with Crescent Suzuki and whether he thinks Shane Byrne should have taken the PBM CRT ride. When you’ve moved recently you’ve taken your crew with you, namely your Dad and Darren Jones. Are they going to GBMoto? Yeah, Dazza will be my number one mechanic again. I’ve got Tim Allen, who’s worked for Harris for a few years, he’s gonna be my crew chief. My Dad will be there as well for a bit of advice, you know knowledge is priceless in this game and he’s been doing it for long enough! Who are the main threats in the championship next year? All the usual suspects, people like Shakey Byrne obviously, Josh Brookes, Kiyo now he’s back, there’s definitely not going to be a lack of talent that’s for sure. 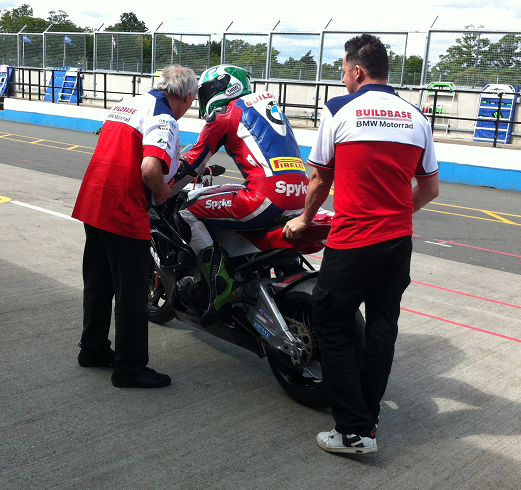 Did your ride for Crescent Suzuki in World Superbikes at Donington replacing John Hopkins increase interest from teams? Yeah it did actually. I had quite a few teams ringing me. There was a bit of a difference of opinion throughout the paddock on whether I should or shouldn’t have done it, but the general feeling was that I did the right thing. Did you look at options to race in WSB for 2013 and is it an option for the future? I didn’t really to be quite honest, I did speak to a team about it but it was more in case the opportunity was ever there I still need to prove myself in Britain and I’m not under any illusions. British Superbikes went to Assen for the first time last year, it was also your first time at the circuit. How did you find it compared to the places like Cadwell, Oulton and Thruxton that you’re used to riding around? Completely different, European circuit and I had to learn it on the race weekend as we didn’t test there beforehand unfortunately. I think I was fast there, I qualified top ten and my pace was good, if it wasn’t for the shocking clutch on the BMW I’d have probably been alright! Would you support British Superbikes expanding further into Europe? Italy? Germany? Spain? Yes and no. Firstly, it’s a good thing rider wise if you get to learn European circuits and also put yourself into a different market as far as fans and sponsors go. The downside is the amount of travelling everyone has to do and the time off, most people mechanics and riders alike have jobs so y’know, if they have to take 2 weeks off to take a trip to Italy and back again then there needs to be some sort of support somewhere else along the line. What do you make of your new team mate? Really good, get on with Dan really well. Often go out cycling together as we don’t live far from eachother. I think he’s gonna be a good competitive team mate which is exactly what I need, I need someone that’s going to push me. 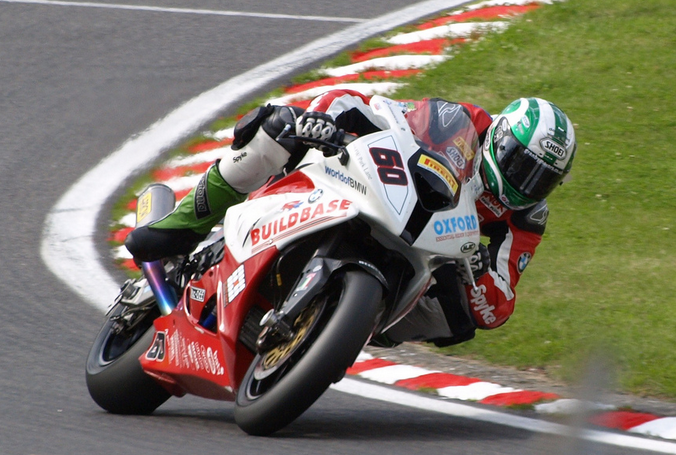 If you were Shakey Byrne, would you take the PBM CRT ride? Probably not. The thing with Shakey is he’s been there and done that, he’s not a young pup any more (he’ll like me saying that). He’s been there and done all that kind of thing and why shouldn’t he stay where he is now and continue winning races when on a CRT bike he won’t win anything? At this point in his career, I think the right decision was to stay where he is.